The two most often-used methods of vocabulary instruction include passing out a vocabulary list to be memorized for the Friday quiz and pre-teaching a few vocabulary words prior to reading. Each method has its limitations. Retention of rote memorization without reinforced, deliberate practice is minimal. Exposure to a key word in a reading selection without context provides minimal understanding. 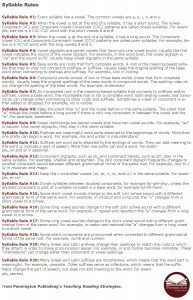 Whereas the Common Core State Standards have been widely criticized in some academic areas, I’ve never heard a parent, student, or teacher criticize the vocabulary Standards detailed in the Language Strand. Whether states re-write, re-name, or simply re-number the Common Core State Standards, the essential components of vocabulary instruction are retained. 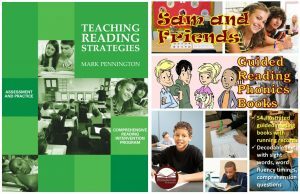 As an MA reading specialist, both vocabulary acquisition and retention are the keys to the kingdom. But minds are not simply empty vessels to be filled with ACT/SAT vocabulary; minds are also to be trained to acquire and retain words on their own. The latter is not the natural process that some describe (or hope for). Surely the process of vocabulary growth can be made more efficient and accurate with training. That’s where good teaching comes in… and one important instructional strategy is the research-based vocabulary worksheet. The educational research provides insight as to what makes a vocabulary worksheet an effective instructional strategy for knowledge and/or skills acquisition. Most of the Tier II academic (not content-specific) language is gained through widespread reading of challenging text, Reading lots of words matters, but reading at a word recognition level of about 5% unknown words, coupled with context clues instruction and practice maximizes the amount of vocabulary acquisition and retention. According the writers of the Common Core, text complexity really matters. Research-based vocabulary worksheets can help provide deliberate practice in how to independently grow vocabulary. The second key to vocabulary development is deep instruction in the words themselves. Passing out the vocabulary list to memorize is not “deep instruction.” Let’s take a look at the Common Core Vocabulary Standards to understand. Following are the eighth grade Standards. Highlights are my own to facilitate skimming and to provide your own vocabulary check-list of “Do that,” “Don’t do that, but need to” self-evaluation. After the Standards follows research-based vocabulary worksheets from my grades 4-8 Grammar, Mechanics, Spelling, and Vocabulary (Teaching the Language Strand) programs and the grades 4-8 Common Core Vocabulary Toolkit (slices of the aforementioned programs) to see how each of the Language Strand Vocabulary Standards L.4, 5, and 6 are incorporated into weekly classroom practice. The examples are from the fifth grade program. Yes, flashcards and tests are included in each program. 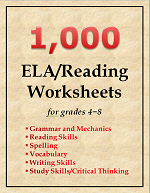 Each program follows a grades 4-8 instructional scope and sequence and includes the Tier II Academic Words List. 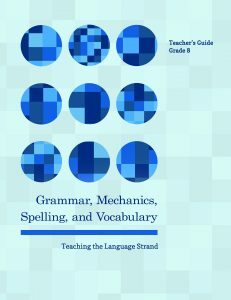 Check out the research-based grammar, usage, and mechanics worksheet and the research-based spelling patterns worksheets.